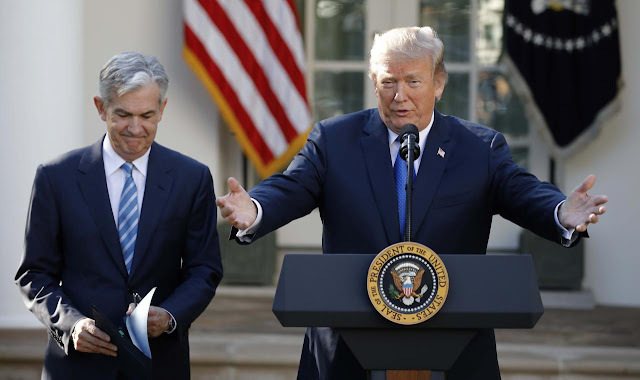 In response to his appointment, Jerome Powell began his acceptance speech by alluding to the Federal Reserve's so-called dual mandate, price stability and full employment. As it turns out, the market economy organically operates toward a reduction of marginal costs and the prolific distribution of leisure at the elimination of drudgery, both of which oppose those mere nominal measures which bear relevance only to the diplomats and their hired statisticians. Meanwhile, the major indices have remained stable, suggestive of investors' anticipation of continuity with Janet Yellen's stencil. If you bought into Trump's drain the swamp mantra, it appears time to sell the fact.